Abram Games (July 29, 1914 – August 27, 1996) was born the same year as Paul Rand and died the same year too. (August 15, 1914 – November 26, 1996). Now he is commemorated in a stamp issued by the Royal Mail. Royal Mail celebrates a selection of remarkable individuals from the realms of sport, design, economics, heroism and the arts with the ‘Remarkable Lives’ stamp issue. Completing the issue is pioneering graphic designer Abram Games. The style of his work — refined but vigorous compared to the work of contemporaries — has earned him a place in the pantheon of the best of 20th-century graphic designers. In acknowledging his power as a propagandist, he claimed, “I wind the spring and the public, in looking at the poster, will have that spring released in its mind.” Because of the length of his career — over six decades — his work is essentially a record of the era’s social history. Some of Britain’s most iconic images include those by Games. An example is the “Join the ATS” propaganda poster of 1941, nicknamed the “Blonde Bombshell” recruitment poster. From 1942, during World War II, Games’s service as the Official War Artist for posters resulted in 100 or so posters. His work is recognized for its “striking colour, bold graphic ideas, and beautifully integrated typography”. His freelance work brought him clients such as Shell, Financial Times, Guinness, British Airways, London Transport, El Al and the United Nations. 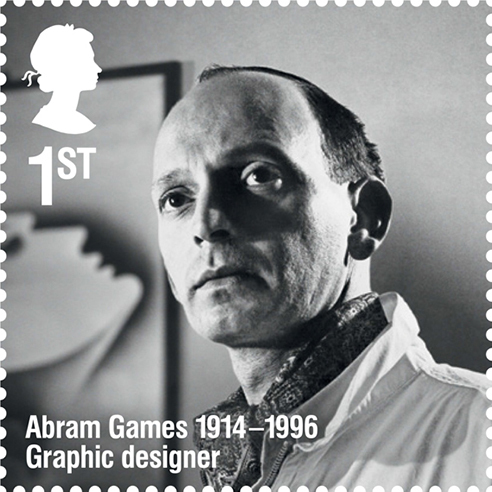 He designed stamps for Britain, Ireland, Israel, Jersey and Portugal. As well as book jackets for Penguin Books and logos for the 1951 Festival of Britain (winning the 1948 competition) and the 1965 Queen’s Award to Industry. Evidence of his pioneering contributions is the first (1953) moving on-screen symbol of BBC Television. He was awarded an OBE in 1957. Sources: The Daily Heller; Souter, Nick and Tessa (2012). The Illustration Handbook: A Guide to the World’s Greatest Illustrators. Oceana; David Smith (30 September 2007). “Poster Churchill pulped on show”. The Observer. Retrieved 27 August 2013.